Simple one button press self seeking satellite systems for Motorhomes, caravans and campervans. No more hours and hours looking for a satellite signal. British TV reception in poor signal areas and abroad. Dishes giving more range of footprint across Europe. 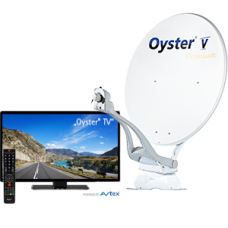 Satellite Systems receiving channels from SKY, SKY Q and Freesat, from Astra 2, Astra 1 Hotbird and many other satellites. 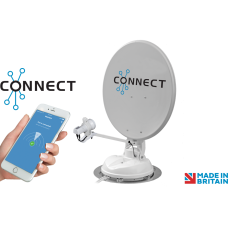 PRODUCT SUMMARYThe Maxview Connect brings smart technology to your satellite system, offering.. PRODUCT SUMMARYThe Maxview Target is a fully automatic roof mounted satellite system designed to re.. 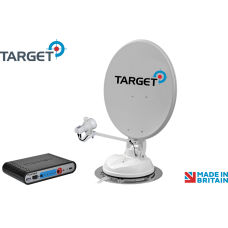 PRODUCT SUMMARYThe Target is a fully automatic roof mounted satellite system designed to receive sa.. 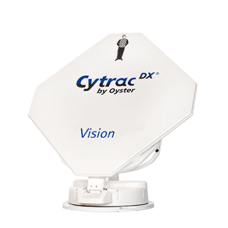 The Cytrac ® DX - Cutting-edge technology in a compact design for incredible reception range.We have.. 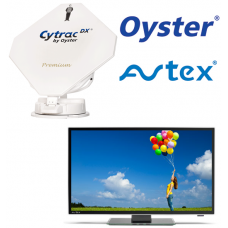 The perfect integration of satellite antenna and TV set We have committed ourselves to supply prod..
Oyster® V A giant leap forward The Oyster® V features several ground-breaking innovations. .. 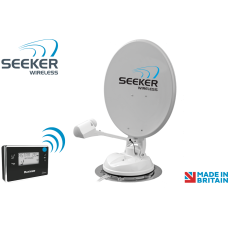 PRODUCT SUMMARYThe Maxview Seeker Wireless is a fully automatic roof mounted satellite system desig.. 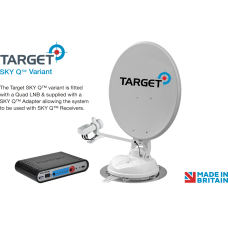 The perfect integration of satellite antenna and TV set We have committed ourselves to supply produc..
Rhino Installs can supply and fit Satellite dishes from manufacture such as Maxview, Oyster, Alden Teleco and Mecatronic. Motorhome, Campervan and Caravan Automatic Satellite Dish installations carried out by ourselves at our NCC Approved premises in Preston Lancashire. Please contact us and we will be happy to help. 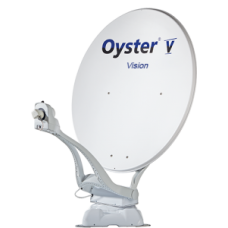 Satellite Dish systems can come fitted with auto-skew, twin LNB and many other features, recieving signals for SKY Q, SKY and freesat, from astra2, astra1, hotbird and other satellites. We have fit to all types of motorhomes and Caravans, . Click here for pictures of our Automatic Satellite Dish installs. Fitted to manufactures such as Swift, Hymer, Bailey, Burstner, Autotrail and many more.